Google has been going through a lot of big changes in the last few years. Panda, Penguin, Hummingbird, and now the guest posting madness. Ranking high has become more challenging, but that doesn’t mean it’s impossible. 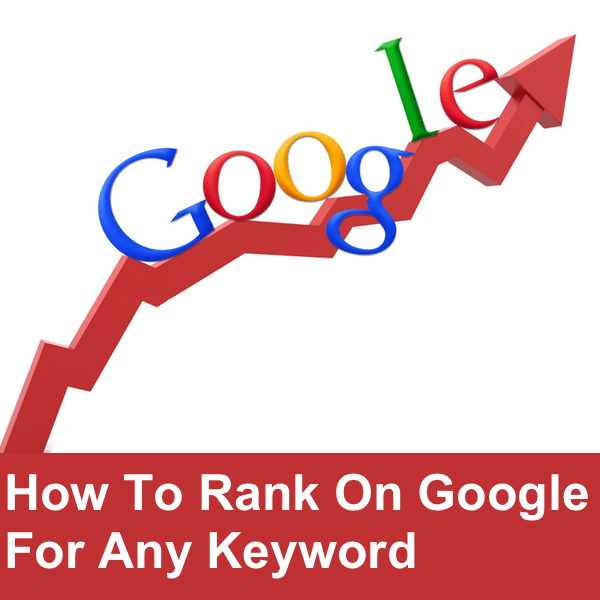 Yes, ranking on the first page on Google for any keyword is possible. I’m willing to bet that you’ve already done all the basic on-page optimization you can think of. What usually slips through the cracks is link building. The process basically goes like this: The more relevant and high quality backlinks you get, the more relevant and high quality backlinks. But how do you get these backlinks? Hang on, because I am going to show you a guide you can follow for any website. 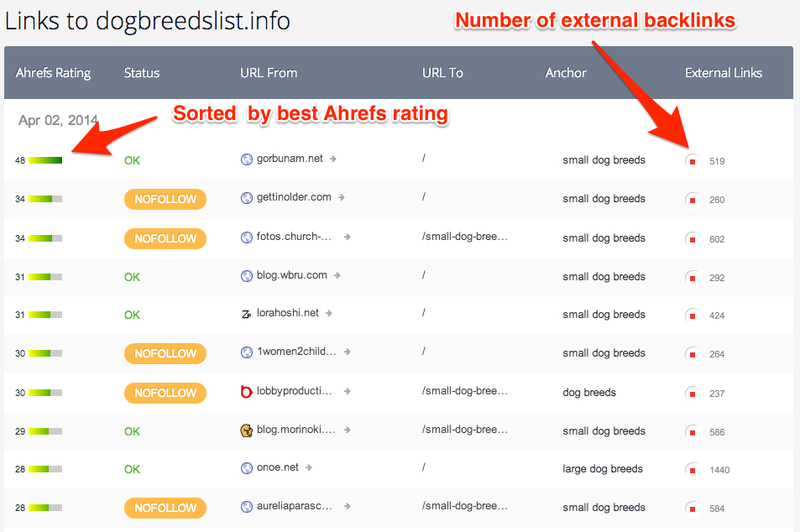 I will pretend that I want to rank for the keyword “dog breeds,” for the purpose of giving you a real-world example. The very first thing is to analyze how difficult is to outrank your competitors. You will have to compare your website metrics with your competitor’s websites. These are some of the things you should look for. You can use the Monitor Backlinks Free Backlinks Checker to get a ton of information about your competitors and their SEO metrics. For example, I’m typing in the domain name of a potential SEO competitor in the “dog breeds” topic space on Google. If I want to rank higher than this competitor, I’ll want to outscore them in terms of their key SEO metrics—or at least, make an effort. Once I run the search, I’ll find the Citation Flow, Trust Flow and the number of backlinks the website has, among other things. 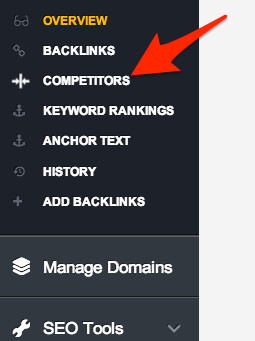 If you want even more information about this competitor (and others) you can always upgrade to the full Monitor Backlinks SEO tool. You can enter all of you biggest competitors into the tool to see their complete SEO metrics, backlink profiles and even get automatic updates on any changes to their SEO and backlinks. That’s only if you’re feeling especially competitive, though. If you’re on the fence, try Monitor Backlinks out with the free 30-day trial. One whole month is plenty of time to get some serious competitor research done! To check the media from where your competitors are getting the most traffic, use a Chrome extension called SimilarWeb. After checking these metrics for all the websites ranked on the top 10 results for your main keywords, you’ll have to decide whom you can outrank and compete. If you are serious about ranking on the top results in Google, you should often check your competitors new backlinks. Doing this manually can take ages, but luckily Monitor Backlinks will help you. If you have not connected your domain with Google Analytics, now is the time to do it. (No account yet? Start your 30-day free trial now). 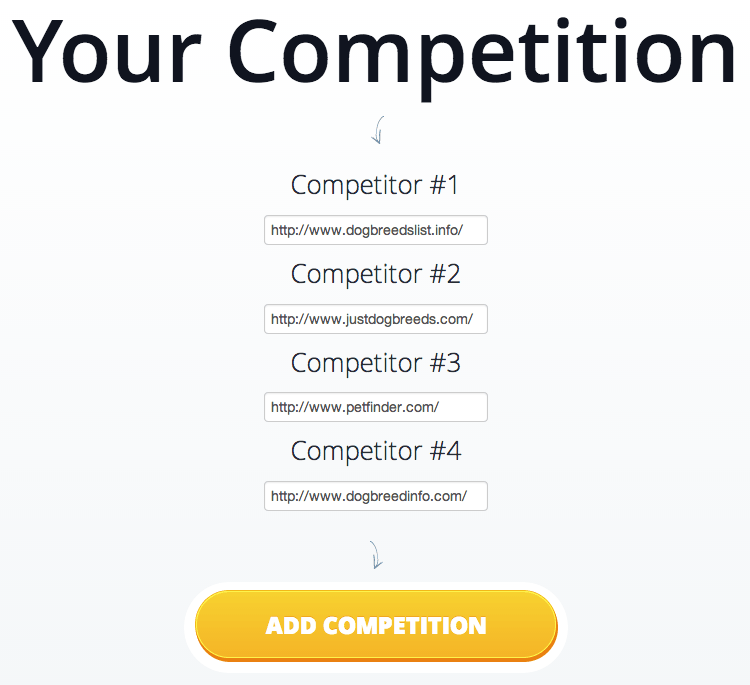 Once your domain is linked, go to your competitors page from the left menu. Choose to add your four most important competitors. This way, you will get details about all their backlinks, and weekly email reports with all the new backlinks they have earned or built. 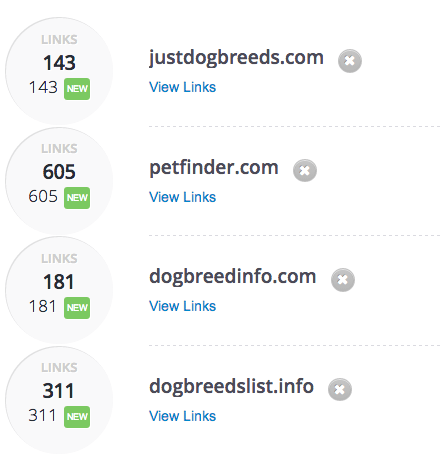 How can a list of your competitors backlinks help you rank in Google? Easy! You can replicate their links. For instance, let’s pretend that my main competitors are A, B, C and D. If I will get 10% of the most authoritative backlinks website A has, 20% from B, 25% from C and 5% from D, I will have all the most important backlinks my four main competitors have. All these links will automatically lead to higher rankings for me, and most likely, I will outrank them. Repeat the process for the most important competitors, and you will rank on the top results, in Google. Before you even start thinking about replicating competitor links, keep in mind that you must have a great website that’s worth linking to. Authority domains will only link to websites that have high quality articles or offer good services. If your competitors are ranking higher than your website, it means they have backlinks with higher authority. However, it does not mean that all their links are good. Therefore, you will have to decide what backlinks are worth your efforts. 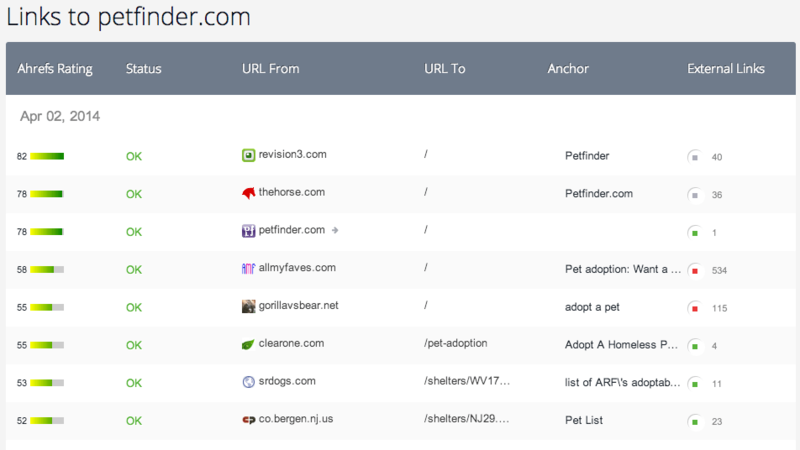 I will start by checking the backlinks from PetFinder.com, and see if I can find any backlink that is worth replicating. In the first column, you will find the Ahrefs rating. By default, the competitor links are sorted by authority. I’ll check two random examples so I can show you how to get backlinks from the same domain. The first link I chose to check is a contextual link. On this page, there are several external links, and numerous useful resources for people interested to know more about dogs. You’ll have to analyze each backlink, and decide if it was earned or built/bought. If the link was earned, contact the webmaster in a polite manner, and suggest your website as another good resource for that page. If the link was built, for instance, by doing a guest post, try to become a contributor on the same website. 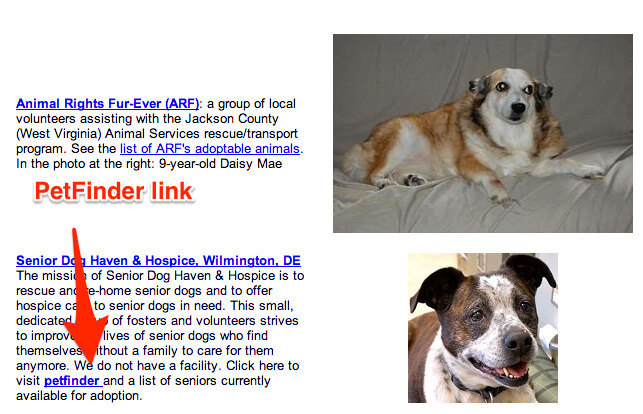 This time, the link comes from a long page with dog rescue websites. At the bottom of the page, find the contact details, and suggest your own link to be included. To increase your chances of being accepted, also provide two or three other resources related to your website. Remember that it’s not always the case that if a website ranks higher than you, it means you should replicate all their backlinks. Sometimes, they will use shady methods and spammy link building strategies, from which you should stay away. Search engines are not yet perfect. Here’s how you can decide if you should replicate your competitor’s backlinks or not. I will show you a competitor whose strategy you should avoid. In this case, the website that I am analyzing is already raising some serious suspicious, as their best backlinks have over 300 external links on the linking page (as shown in the last column). Can you imagine a webpage with 300 backlinks? That smells like spam right away. Their link is placed along with some very low quality websites. 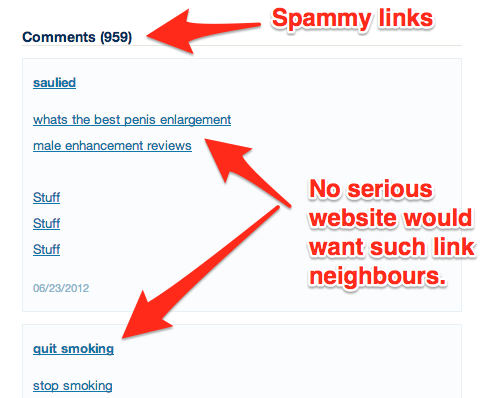 The examples can go on forever, as their entire backlink profile is full of shady links. Even if the website ranks on the first results in Google, it’s a matter of days or months until they will be penalized. Your goal should be to obtain long term rankings, and not temporarily. The above example is a competitor’s strategy that you should not follow. Once you have tried to replicate all the highest-quality links from your competitors, you will still have to keep an eye on the new backlinks they will earn or build. Monitor Backlinks will keep you updated by sending all the new links directly to your email inbox. Always look for new opportunities to earn high quality links to your website, and never concentrate on building useless backlinks. You can easily achieve better search engine ranking results by replicating the strategies your competitors are using. And don’t forget to monitor things and keep track of your results—as well as new backlink strategies that your competitors start using! Monitor Backlinks is the ideal tool to help you always stay on top of your backlink game. Thank you Sunday. I’m glad you found the article helpful. Great article for 2014 SEO strategies. This is a ultimate article for ranking.SEO mainly runs around Back linking only.Now will try above analysis.Thanks for this useful info..
good luck ranking your website higher. I am somewhat confused with Google ranking signals specially when I see sometime a newly built site with some or just few pages ranks better than old authoritative. An ultimate article !! I was searching for this since few days as many of my keywords were coming on 2nd page and was trying to have those on top. Definitely I am going to try your strategy. This is awesome article for SEO guys, You make it so easy with use of tools.